A robust yet sleek exterior exudes the strength and dynamic agility that sets apart the UX as the luxury crossover of tomorrow. Aero stabilizing arch moldings and rear combination lamps significantly reduce wind resistance for improved control and performance. The UX 200 F SPORT’s front grille features a distinct mesh pattern made up of multiple L-shaped motifs that were also used in the all-new LS. F SPORT seats incorporate integrated foaming technology to keep you firmly in place even during aggressive driving. The LC-inspired movable meter ring has been redesigned with new graphics that boast a greater sense of depth and character. 18-inch wheels with an F SPORT-exclusive premium metallic coating and enhanced rigidity contribute to a robust look and better handling stability. 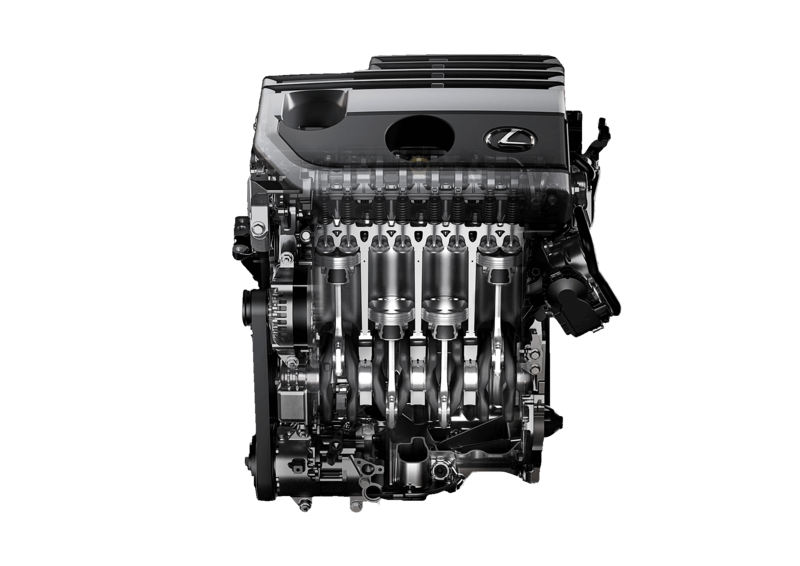 AVS continually adjusts shock-absorption to deliver the type of smooth ride expected of a Lexus. Select performance to match your driving style with up to five drive modes: Normal, Eco, and Sport S.
Be the first to get the latest updates and promotions on the UX 200 F SPORT.